Waterbridge opened its gates in September of 2010. With the outstanding amenities this community offered, it quickly became one of the most popular neighborhoods in Carolina Forest. This is a gated community with a resort-style feel of unique homes that focus on waterfront living. The family-friendly neighborhood features lantern-lit streets, open parks, and underground utilities. Original Waterbridge homes are coastal cottage style residences, with large wraparound porches and panoramic lake views. The Caviness and Cates Homebuilders are now adding new Low Country style homes in Waterbridge, offering tremendous value with the exclusive 1-2-10 Home Warranty that are tested and certified as Energy Plus Homes. These new homes come in 6 floorplans, ranging from 1986 to 2782 sq ft, three and four bedrooms, and priced from the mid $300,000's to the low $400,000's. Other custom-built and older homes can go up to nearly $800,000. Amenities include a beautiful clubhouse, resort-style swimming pool complex which is the largest in SC, a fire pit, state of the art fitness center, swim-up pool bar, multiple parks, volleyball and two tennis courts, a 60-plus acre Lake, boat storage and launch - along with access to the oceanfront Atlantica Resort. 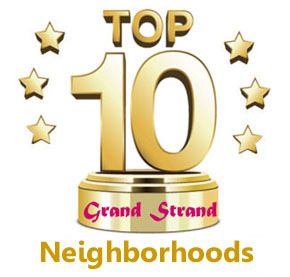 This amenity package is unmatched on the Grand Strand. 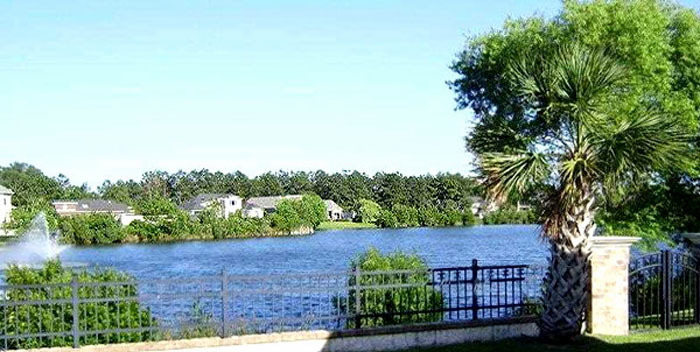 Carolina Forest itself has become the icon of residential master-planned communities in Myrtle Beach. It has its own banks, doctors and dentists, award-winning schools, and no city taxes in most of it. 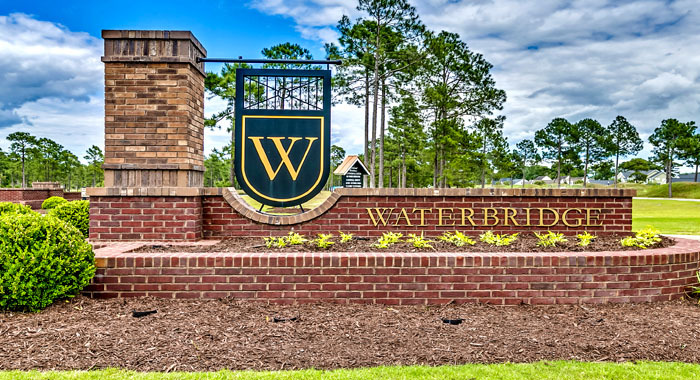 If you like the sound of that, and want to see one of the best subdivisions in Carolina Forest, let us take you on a tour of the available homes in Waterbridge.